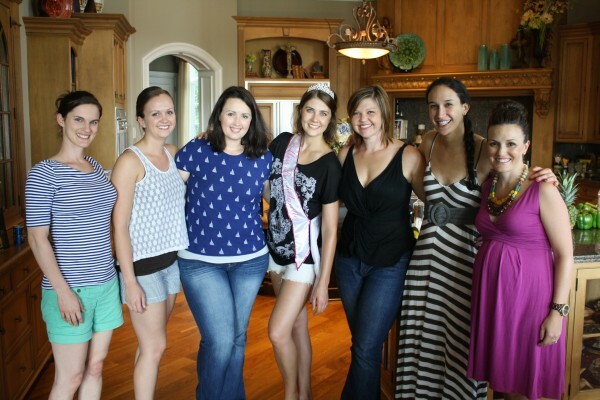 This weekend I was invited to a bachelorette party up in Lake Norman — about 30 minutes north of Charlotte. I got up early to get in my regular walk with Rascal. The rain from the night before made the sidewalks kind of yucky so by the time we got home, Rascal’s low-hanging belly was pretty gross. Rascal has always showered with me, so I put him in the shower and we got clean together. 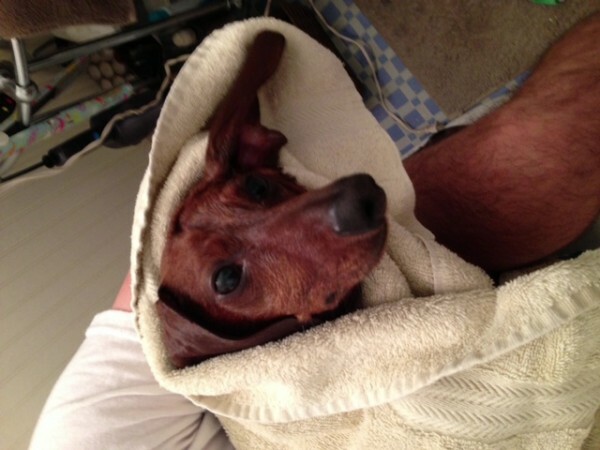 He really likes to be wrapped up like a baby and held after a shower. I was running late so Brad had to pacify him. 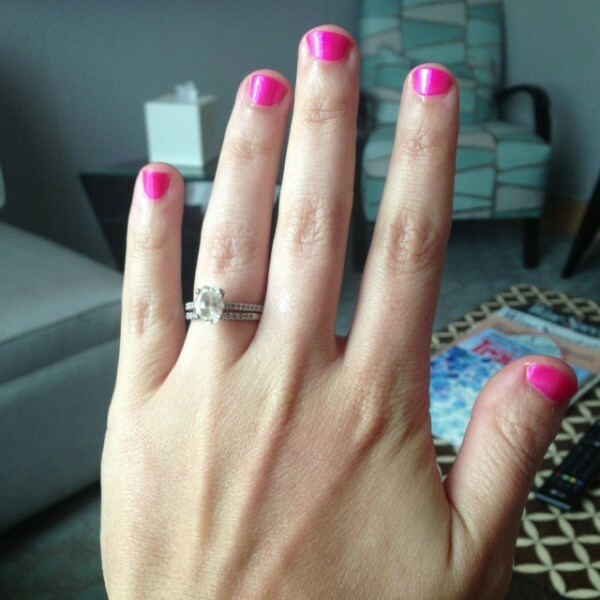 Then it was on to the Ritz Carlton in Uptown Charlotte for manicures or pedicures to kick off the weekend. I opted for a Barbie doll pink manicure on short nails. I prefer my nails super short when I get a manicure because the color lasts much longer. After relaxing in their lounge for a while, we headed up to the bride-to-be’s soon-to-be mother-in-law’s house (gosh that’s a lot of hyphens). 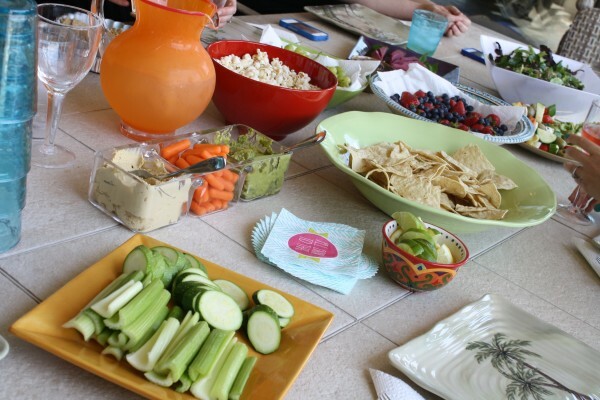 The party planners had a spread of delicious and light summery foods for our lunch. It was delicious and perfect for the warm weather! We lounged a bit and played games. I watched some of the girls play on the trampoline and slide that floats out on the lake in front of the house. It looked like a lot of fun, but not something I should be doing pregnant. 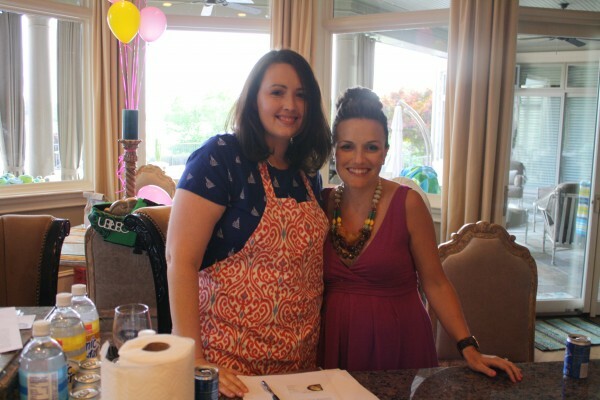 Later that evening, two chefs came over for an in-house cooking class. It was a lot of fun! The menu was mango and pineapple salsa, Vietnamese spring rolls, and fish and shrimp with veggies cooked in parchment paper. I’m especially happy that I learned to make Vietnamese spring rolls, which I absolutely adore. Can’t wait to make them again soon! There was also some lingerie gifting and a yummy cake that isn’t appropriate for my PG rated blog. 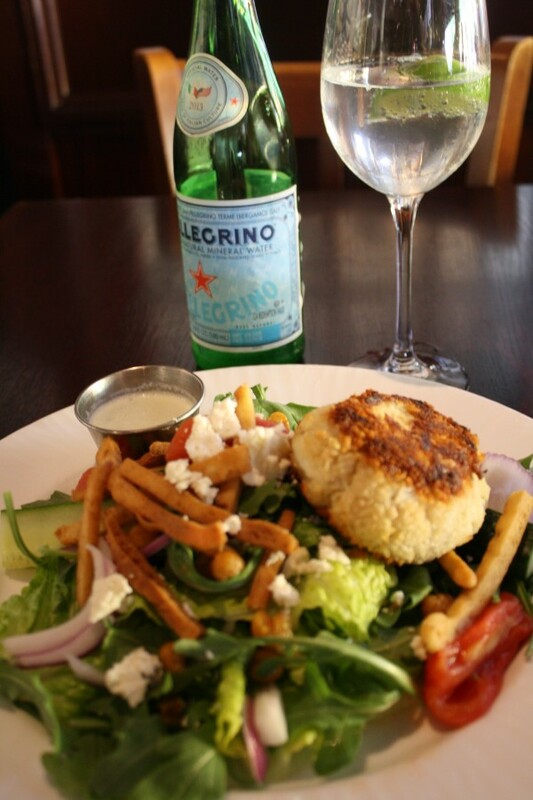 The next morning we headed to the North Harbor Club for brunch, where I opted for something lunch-y — a crab cake topped salad. Delicious! After brunch, I returned home to my two favorite guys. We did a little shopping and picked up Baby E’s bookcase among other things I need for an upcoming beach trip with my family next week. Speaking of which — didn’t Target and Walmart used to carry tons of lounge chairs for the beach? I can’t find a single one that I like! Urgh. Brad cooked dinner, which was spaghetti squash, chicken, veggies, and his peanut sauce. Yum! And I ended the night with a coconut popsicle and a walk. You look so great! I love that your dog showers with you- mine probably would but they’re 69 and 95 pounds so it definitely isn’t happening. This weekend I went on a 25 mile bike ride, saw the new Much Ado About Nothing and finished a book. 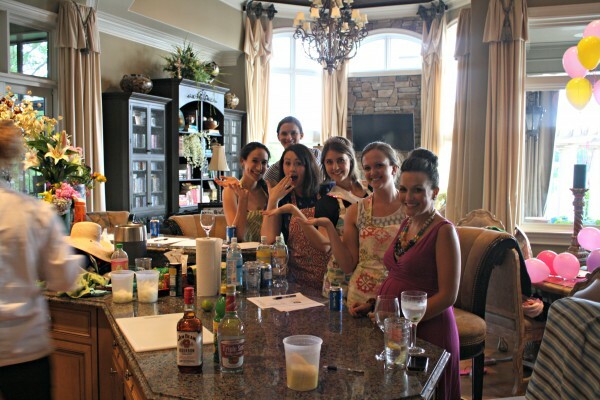 I’m not 100% on this, but I think my friend Jenn (the bride) did it more recently. Did the girl you spoke with have an Australian accent? That’s the tell-tell sign. Jenn is from Australia.